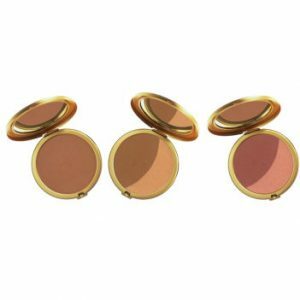 This Tantasia Self Tanner and Bronzer from Jane Iredale is made up of a tinted formulation which provides instant bronzing and optimal application control. 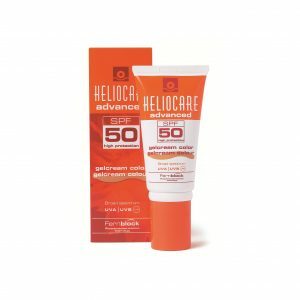 Unlike other self tanners, this has a fresh citrus scent from its unique blend of ingredients. No Sun? Fake it! Tantasia® is our go to when we need a sunless tan! Achieve a fresh glow with our citrus-scented sunless tanner, Tantasia without exposing your skin to harmful UV rays. Squeeze a coin-sized amount onto your finger. Touch the forehead, nose, cheeks, and chin with the finger to distribute product. Using sweeping motions, start at the centre of the face and blend outwards until you’re pleased with the coverage. Apply daily until a golden tan has been achieved. 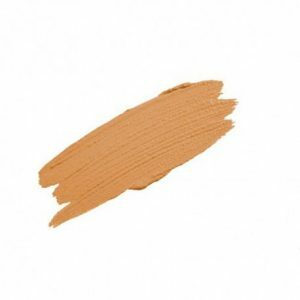 The Blending Brush may be used to blend Tantasia Self Tanner & Bronzer. Use frequently to maintain colour. Squeeze a small amount in the palm of hand. Rub hands together two to three times to distribute the product across palms. Smooth on one section at a time until product is absorbed using long, back-and-forth strokes. Repeat until the desired coverage is achieved. To minimise the chance of transfer to clothing, allow 15-20 minutes before getting dressed. Water/Eau/Aqua, Dimethicone, Cyclopentasiloxane, Vitex Agnus Castus Extract, Glycerin, PEGCrosspolymer, Acetyl Tyrosine, Copper Gluconate, Dihydroxyacetone, Hydrolyzed Wheat Protein, Mica (CI 77019), Caramel, Citrus Grandis (Grapefruit) Peel Extract, Citrus Medica Limonum (Lemon) Fruit Extract, Xanthan Gum, Tocopherol, Sodium Chloride, Raphanus Sativus (Radish) Root Extract, Iron Oxides (CI 77489).